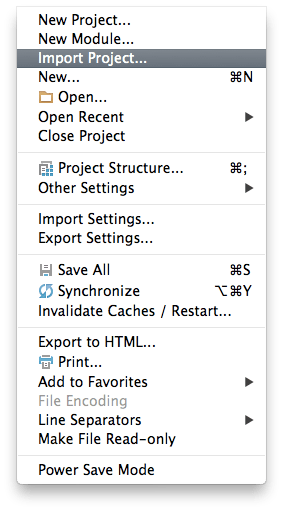 The Eclipse IDE. Remember the good times? So few, so…far between. 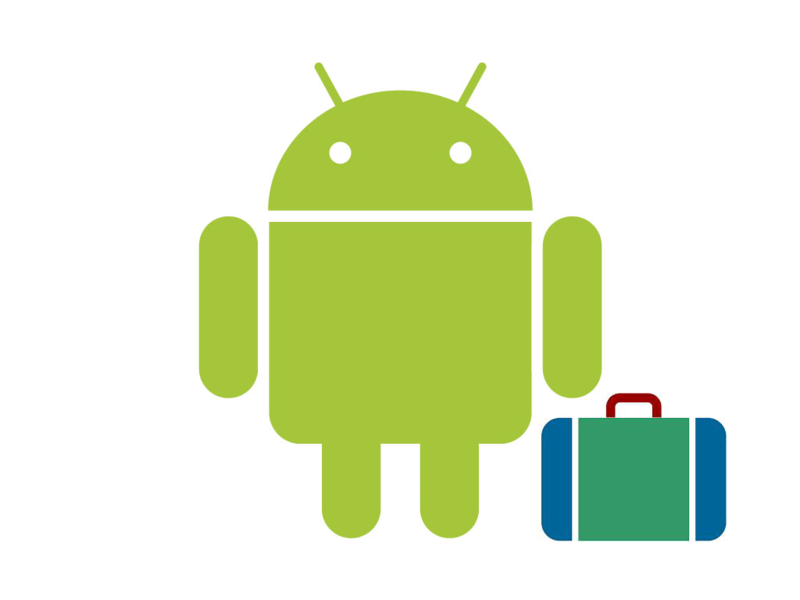 The time has come to get comfortable with Android Studio, this guide will show you how to pack your bags and make the transition. I encountered a number of issues while exporting an existing Eclipse project (containing multiple sub-projects) into Android Studio. 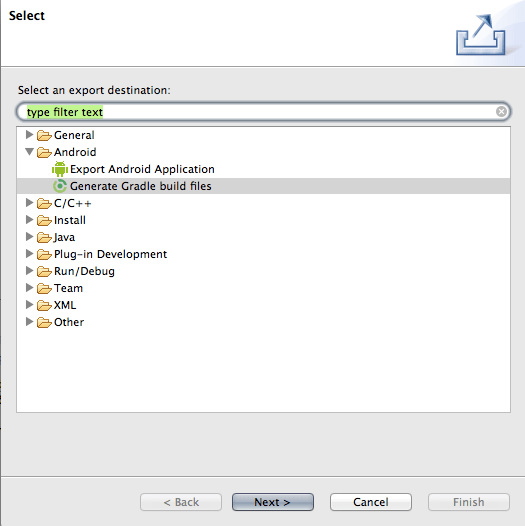 I will show you how to avoid these problems and successfully migrate an old Eclipse project to Android Studio using Gradle. My goal is to cover a number of common errors you may encounter when migrating a cranky old Eclipse app to Android Studio. 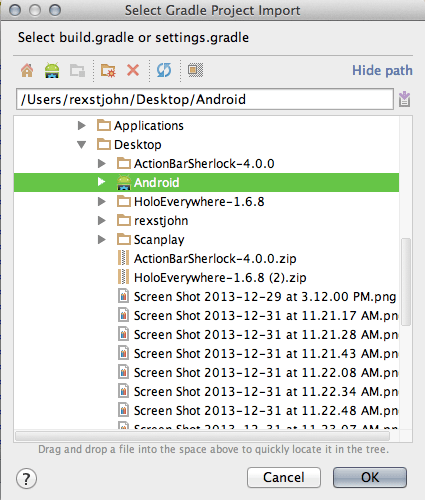 This guide covers the process using Gradle 1.9, Eclipse Juno and Android Studio 0.4.0. The Android project had API level 9 – 15. 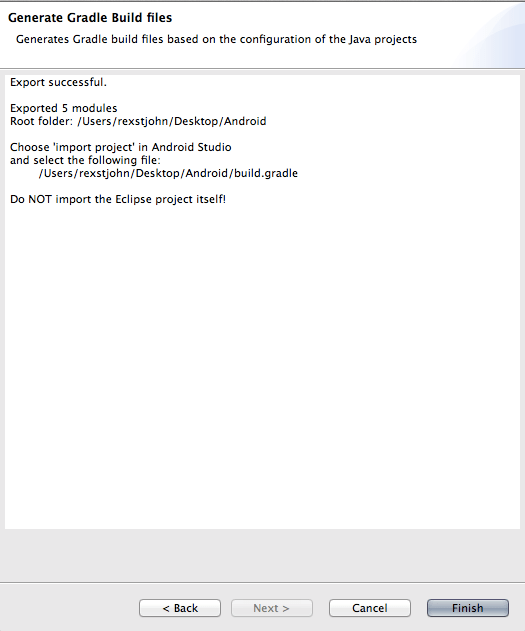 Eclipse, by default, seems to export bad Gradle files (out of date) and Android Studio does not like this. The fix is quite easy, I’ll cover it later on in this guide. If you see either of these errors or errors like these: “Gradle version 1.6 is required. Current version is 1.9” or “Resolve Error: You are using an old, unsupported version of Gradle. Please use version 1.9 or greater” then you are going to need to make a couple manual tweaks to a single Gradle file and Android Studio’s preferences. You will see a dialog like the above. The first thing to do is make sure your copy of Android Studio is using the correct version of Gradle by default. 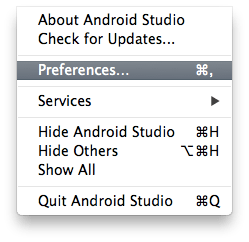 Start by clicking “Android Studio” -> Preferences -> Gradle. Now make sure your Gradle settings look like the above. 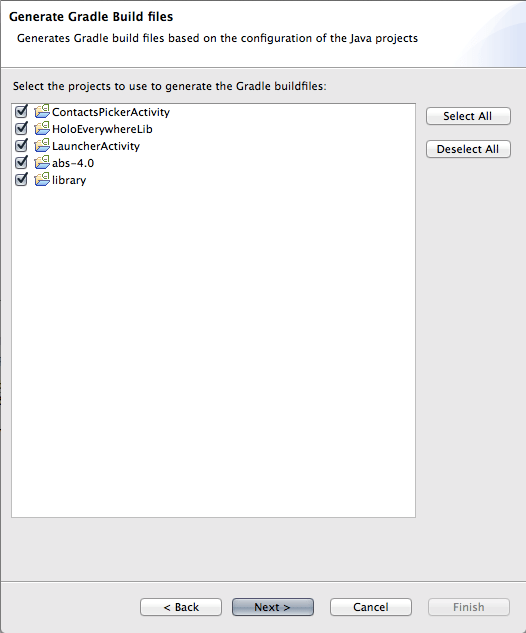 If your Gradle is 1.6 or some other version, download the latest Gradle here: http://www.gradle.org/downloads. Unzip that folder into some directory such as /Development/Gradle-1.9/ and point Android Studio at that directory. Ok, so now that we have upgraded our Gradle, we are still going to get errors until we modify the Gradle files exported by Eclipse. I promise this won’t hurt. You are now telling Android Studio to use Gradle version 1.9. Now try to import your project into Android Studio again. You may get an error about a missing Android target if you are trying to import projects for which your copy of Android Studio isn’t prepared for. Now find the missing Android API level and install it and try again. 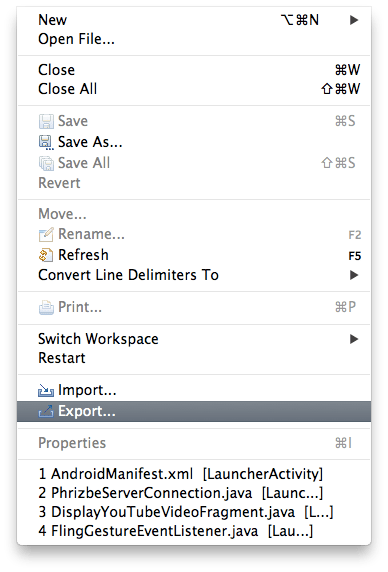 Android Studio will require an “Application” tag in the Android Manifest file of any imported applications. This error may be caused by attempting to import (from Eclipse) an Android Library project and Gradle failing to inject the correct plugin tags. See below for the solution. This error’s source may also be that your imported module has incompatible SDK level with another module in the workspace. If one of your modules depends on another module and their version codes are incompatible this may be the result. Android Studio seems to require that the Android Manifest of an included library application have an <application/> tag in it someplace. In the project I was imported I solve this issue simply by adding an empty <application/> tag to the manifest.